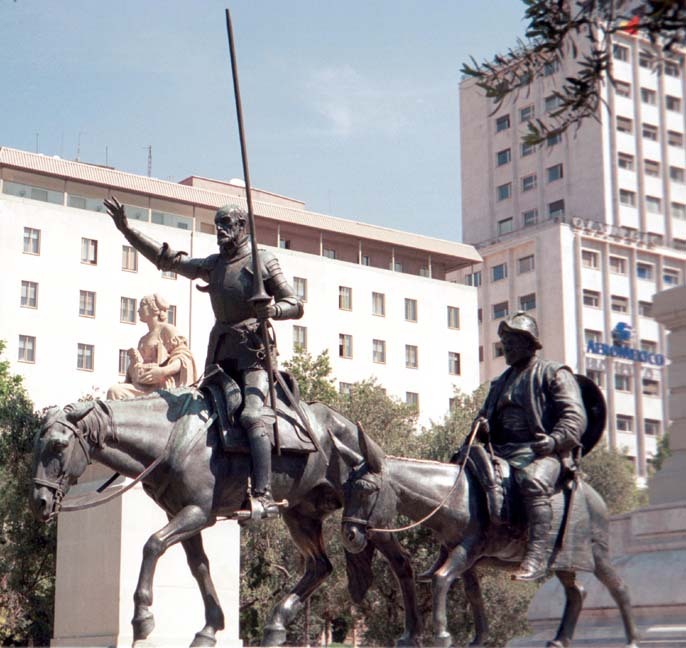 The author of Don Quixote is honored in Cervantes Plaza with heroic statues of Don Quixote and Sancho Paza. 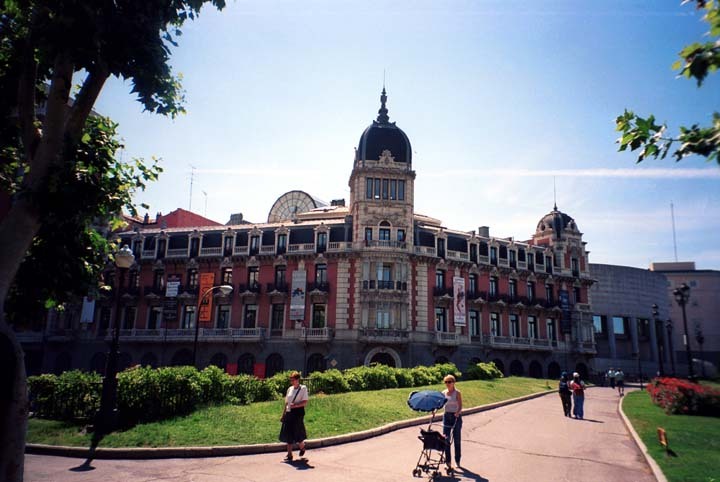 There is a pool in front of the statues and the Plaza is a gathering place. 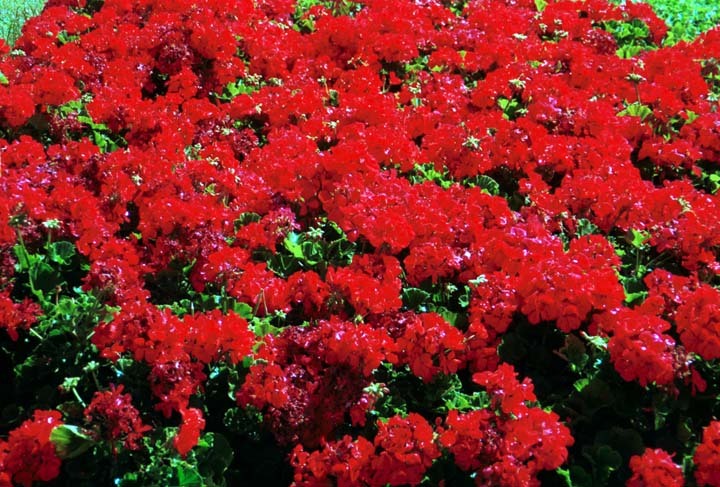 These flowers were in a bed by the water in Cervantes Plaza. 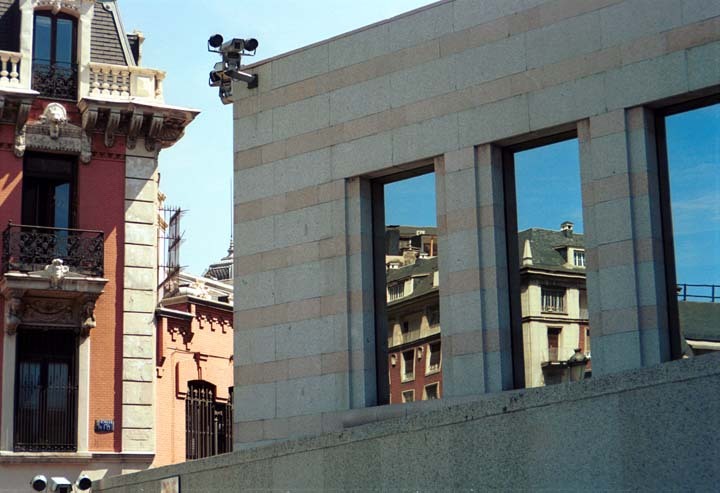 This image sums up old and new Madrid - the older building reflected in the modern building with its surveillance cameras. 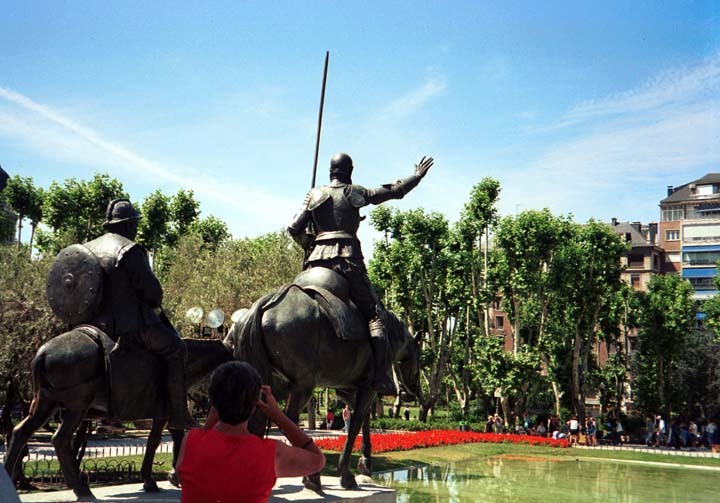 This is along Calle de Bailen - the Street of the Dancers.